Doxy's Fine Foods offers delicious artisanal seasonings that are gluten-free, non-GMO, and low-sodium. They can be added to simple recipes to make your meal prep much faster and easier. I received Doxy's Pasta Sauce Herbs and Doxy's Cocoa Fusion to try in my recipes. Doxy's Pasta Sauce Herbs can be mixed in with tomato sauce, sprinkled on top buttered baguettes for garlic bread, or stirred in with salad dressings. I made spaghetti and meatballs easily by combining 4 cans of tomato sauce, 1 can of tomato paste, 1 package of precooked frozen meatballs, and 2 tablespoons of Doxy's Pasta Sauce Herbs. After six hours on low, it was ready to eat. It was absolutely delicious! Doxy's Pasta Sauce Herbs is wonderfully balanced in flavors and made my dinner preparation simple. I can't wait to try it mixed with some olive oil to top my bread. Doxy's Cocoa Fusion is a wonderful blend of cocoa, sugar and spices. It can be sprinkled over ice cream or whipped topping, or added to recipes. I made some tiny cakes with yellow cake batter and sprinkled Doxy's Cocoa Fusion over the top just before baking. They are so scrumptious! Visit Doxy's Fine Foods at www.doxysfinefoods.com to try these artisanal seasonings for yourself! You can also follow them on Facebook and Twitter for more meal ideas. Here's a fabulous twist on a long-time family favorite! Using ground chicken instead of ground beef can reduce some of the fat and calories in your dinner. With just a few ingredients, my Chicken Meatloaf recipe is a hit in this house! Preheat oven to 350 degrees F. Place 20 Ritz Everything Crackers into a zip-closure plastic bag and roll over with rolling pin to smash them to crumbs. Pour cracker crumbs into a large bowl and add 1 pound ground chicken, 1/2 cup salsa, and one egg. Mix ingredients by squishing together with your hand. Spray a loaf pan with a touch of cooking oil spray and shape chicken meatloaf into the loaf pan. Bake in oven at 350 degrees F for 1 hour. Remove loaf pan from oven and spread 2 tablespoons of salsa over the top of the loaf. Bake for another 10 minutes, Cut into slices and serve. Using 1 pound of ground chicken will feed 2-4 people. Recipe can be double for more people or to make a "taller" loaf. as coordinated by Deep Creek Public Relations in consideration for review publication. If you're into hiking, climbing, camping, or cycling, you know how important it is to have healthy, lightweight, filling food in your backpack. For the rest of us, having easily portable food comes in handy while traveling, running errands, or even just wrangling the kids to eat decent foods. Greenbelly has us all covered with their Meal Bars in Dark Chocolate Banana, Cranberry Almond, and Peanut Apricot. Each package contains 1/3 of daily recommended intake of protein, calories, carbs, fiber, fats, and sodium. Each package contains two Meal Bars made with all natural ingredients including bananas and peanuts. The bars have a dark chocolate espresso taste and I was surprised at how full I felt after just one bar. Even better, I was full without that heavy feeling. Greenbelly recommends consuming water with their Meal Bars for best results. It's a super convenient way to cover a meal when you're on the go and don't have time or the facilities to cook a meal. For those of us who also stock up on emergency supplies, Greenbelly Meal Bars are an excellent addition to the food stash. While finding out more about Greenbelly, I was pleased to discover they have a "Buy a Meal, Give a Meal" program. For every meal bar you buy, Greenbelly donates a meal to the Atlanta Community Food Bank to help end hunger in Georgia households. More than 28% of children in Georgia are in households that cannot afford to feed them adequately. As a volunteer at my local food pantry in Texas, I can attest to the great need in American homes for healthy meals. Fill your belly and fill a hungry family's belly with Greenbelly Meal Bars! Whenever we travel, I always feel guilty about putting my dog Buddy into the kennel during our trip. No one wants to spend a weekend sitting in a cage. Any dog would much rather be taken into a loving home, to be loved on and played with by dog lovers! That's exactly what DogVacay provides for your dogs, through loving host homes. DogVacay is an online community that connects dog owners with our 20,000 vetted and insured pet sitters across North America, ready to care for your dog like a member of their family. All reservations include free pet insurance, 24/7 customer support, and daily photo updated of your pooch enjoying a "Vacay" of his own. You can finally travel with peace of mind — at prices half the price of the local kennel! Who can Host? You! Whether you're a professional dog sitter or just a regular dog lover, DogVacay makes it easy to earn money watching pups. Simply create a free profile, set your own rates, decide which dogs to take and when to take them. DogVacay will do the rest! What better way is there to make money than watching adorable pups in your own home? DogVacay Hosts from all over have told us hosting pups has helped them spend more time with their families, pay for school, and save up for weddings or travel. Hosting pups on DogVacay is a low stress way to do what you love. With over 1 Million doggie nights booked, our Hosts rest easy knowing each Vacay is covered by free pet insurance and 24/7 customer care. Why Host? Find out more HERE! 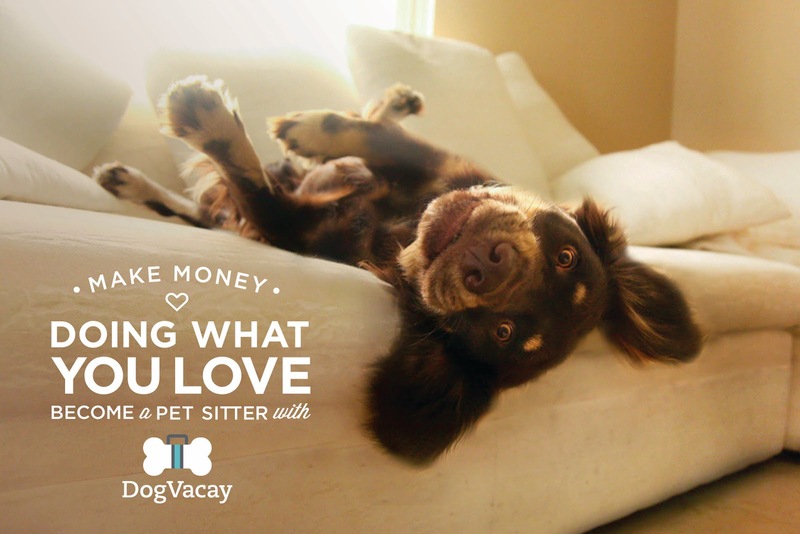 With DogVacay, your vacation will be more relaxing, knowing your dog is also having his own vacation in a Host home. 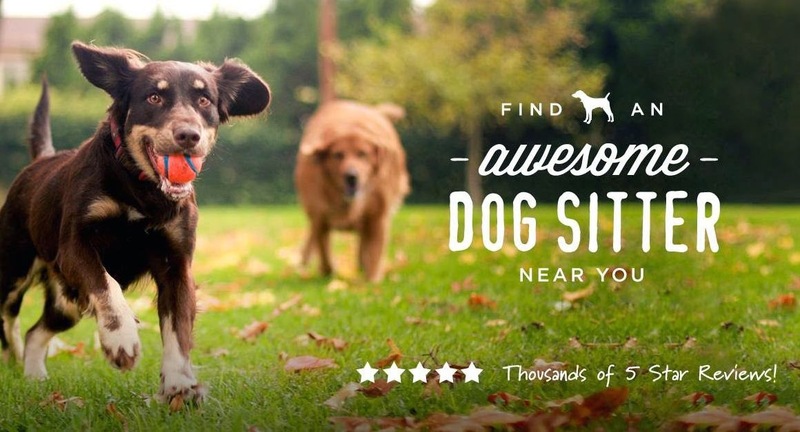 Find your pet's DogVacay Host home HERE! 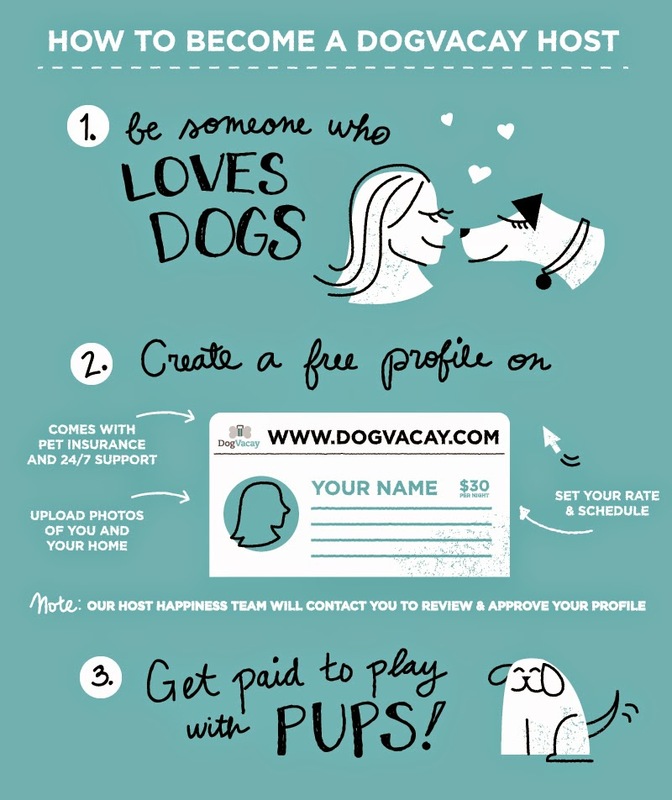 If you're a dog lover, DogVacay wants to help you become a Host! Go find out more HERE! Wish you had an amazingly comfortable place to plop down after a long day? Need a great place to study or play video games? Check out The Original Big Joe! You can lay it flat or prop it up in lots of different ways, but however you use it, you'll be glad you have it. 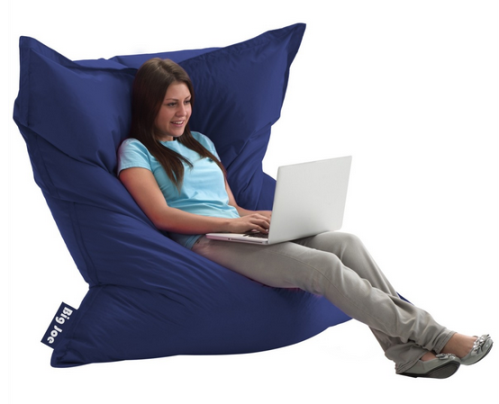 It's the perfect addition to a playroom, a teen's room, a dorm room, and your family media room. Available in lots of colors, the Big Joe will be your go-to chair more often than you can imagine. And now you can enter to win one for yourself! I'll be reviewing my own Original Big Joe from Comfort Research very soon, but I wanted to get you the link to this giveaway as soon as possible, because you can only enter until October 30th. Leave me a comment below and tell me where you'll put your Original Big Joe if you win, then click HERE and get your entry in right now! Do you belong to any subscription boxes? It's SO much fun to get something new every month! I never know what's going to be in my Paper Pumpkin craft box! My October box is fabulous! Ready to open it with me? It's always wrapped up so pretty! October is "BOO-tiful Bags!" How fun is that? These monthly craft kits come with everything I need to create amazing things that I honestly would have never thought to do! Paper Pumpkin is a Stampin' Up! company so all of the supplies are of the highest quality. There is a whole sheet of spooky stamps, including Happy Halloween, To and From, BOO!, Eat Something Sweet, skull and bones, bat, raven, and bare tree, plus an orange stamp ink pad. There are six darling burlap bags, big enough to stuff with about 8 big gumballs! Three are decorated with dots and three are decorated with stripes. Each one is stitched with an opening that covers with a flap. October's Paper Pumpkin kit also comes with sequin thread, black twine, double-sided adhesive foam dots (to give some depth to the project), plus six tiny purple and orange clothespins. All of the supplies are chosen specifically for the BOO-tiful Bags but you can be creative and use them however you want. I also found several sheets of pre-cut tags in white, black, purple, black and white, and striped. By layering tags of different sizes, they can be stacked to create a gift tag that really pops! I love to give gifts with a handmade touch and Paper Pumpkin makes it so easy to create new things. Sometimes I'm stuck on what I want to create, but Paper Pumpkin sends along an instructional brochure with every kit. It includes step by step instructions so that I know exactly what they had in mind for the project. Instructions are online too! Isn't this the most adorable BOO-tiful bag? I made it in about three minutes. I stuffed individually wrapped candies inside. I'm going to make all six bags and pass them out to the very first trick-or-treaters that come to my door on Halloween! Want to get an amazing craft every month? Sign up HERE for Paper Pumpkin! Don't forget to enter below to WIN this kit! Win the Paper Pumpkin BOO-tiful Bags Craft Kit! To enter, just fill in the Rafflecopter form below. You must be a US resident at least 18 years old to be eligible to win. Only one entry is mandatory to enter, but you can rack up extra entries by completing more of them, You can even come back daily and to tweet for another entry! Giveaway ends at midnight on 10/25/2014. Good luck!